Hello and welcome our fifth day of a blog event with Stencil Girl Products and Ken Oliver Crafts! The Creative Team from Stencil Girls and the Style Contributors from Ken Oliver Crafts are teaming up to bring you lots of inspiration and ideas this week! We're using stencils, Color Burst and Click It Ink Pads to create beautiful works of art that you'll want to create on your own! I think you will be amazed with all the ways you can create with Color Burst and stencils! They're the perfect combination. The photos below show just how intense those colors are...and these aren't even real projects...but practice stenciled pieces from recent workshops! You can create all kinds of colorful abstract backgrounds with Color Burst and stencils, and you also paint with it, just like watercolor paints. It's much easier to use that tubes, cakes or pencils. Today's hop starts right here, click through the links below to see wonderful works of art from each one. 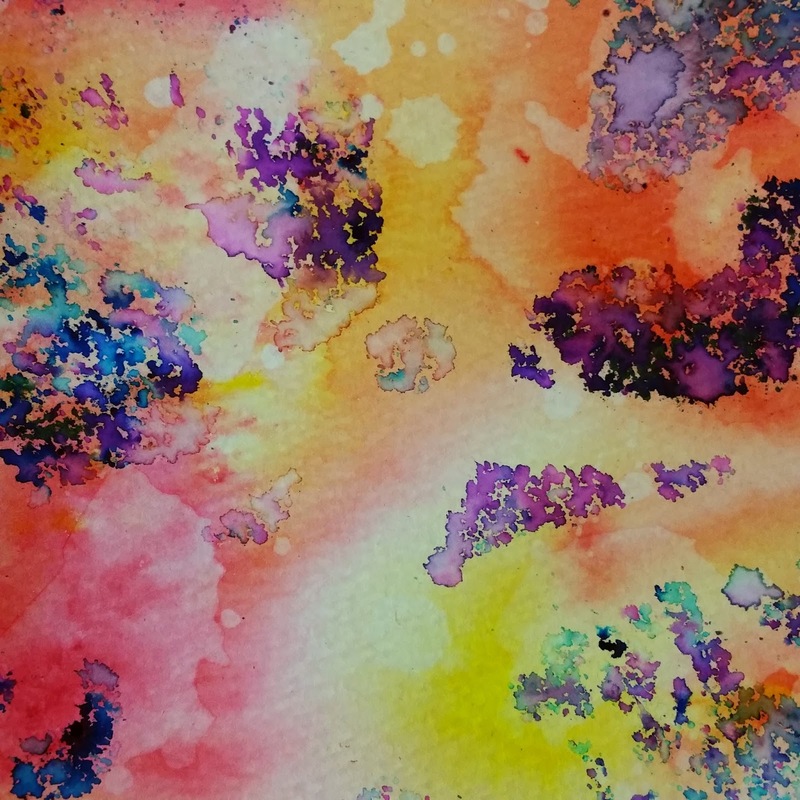 I LOVE intense colors and these Color Bursts are so amazingly rich in pigment. I've heard great things about this product! Amazing colors and love how easy it is to mix them!!! I love the effects of the burst of color and variations you get with your bursts. Wonderful! Thanks for a wonderful week of beautiful projects using these gorgeous color bursts! They are just amazing!! Ken, this weeks hop has been an amazing tribute to your products. 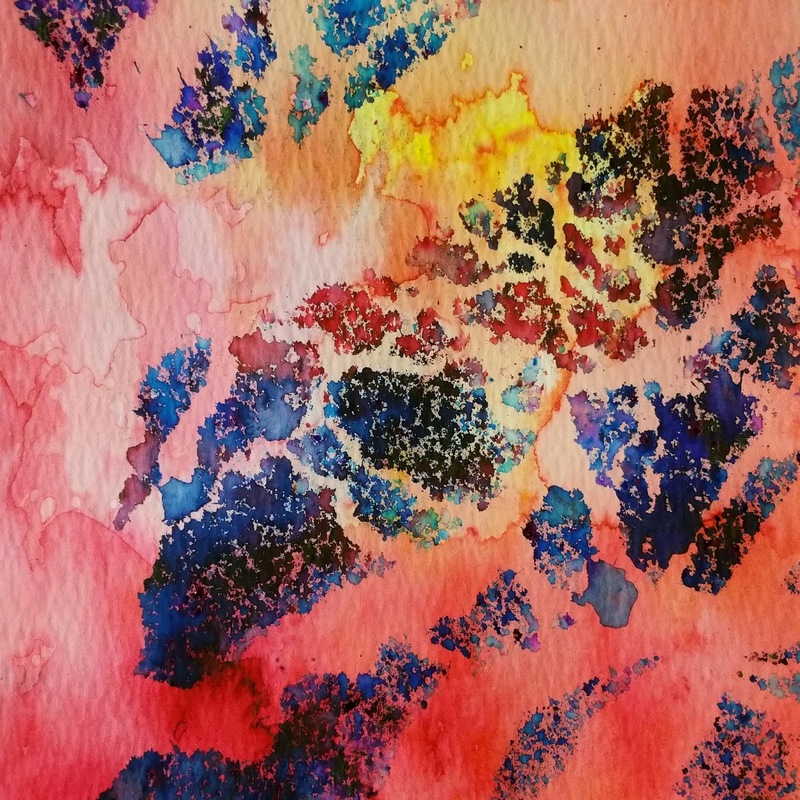 I have been amazed at how color burst works with every medium it is paired with. Love the Barn. I tend to keep my "mistakes" to see if they can still be used with something else. It's been amazing to see the variety of projects this week. What a fab partnership! I have really enjoyed to the Blog Hop ~ I have learned so many ways to use the Color Bursts with stencils. I love that they are powder form to carry with me and not have to worry about leaking. 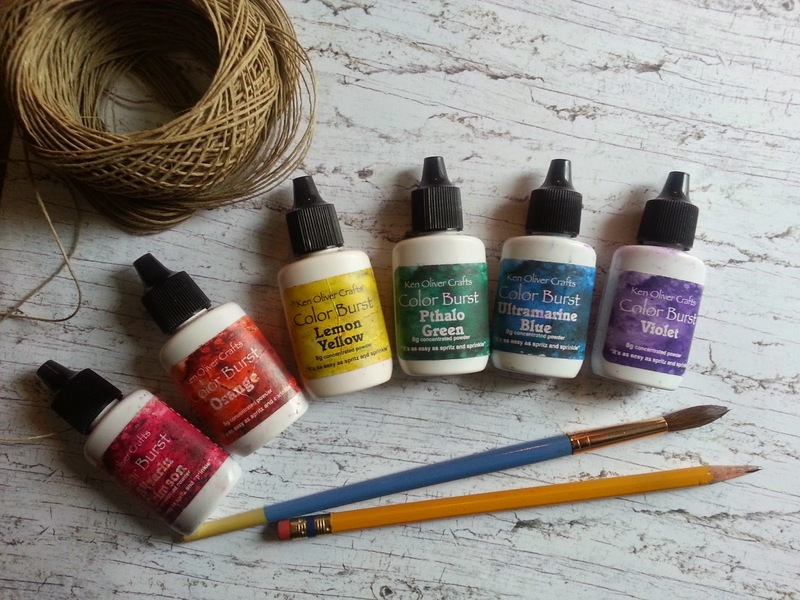 Plus, the vibrant colors are my favorite to use in mixed media work. Love the barn. Looks like so many on the farms in the area. Can't wait to get my Color Burst. Paint like water colours! very cool!!! It's been great to see the variety of ways color bursts can be used! Thanks for sharing all the ideas and inspiration! Thanks for the hop. So many fantastic ideas. The barn is wonderful. Can't wait to try the paints. I'm dying to get my hands on the color bursts! These Color Bursts are amazing! I'm Jennifer Stevens and this looks amazing!! I can't wait to try these, and thanks for the chance to win! 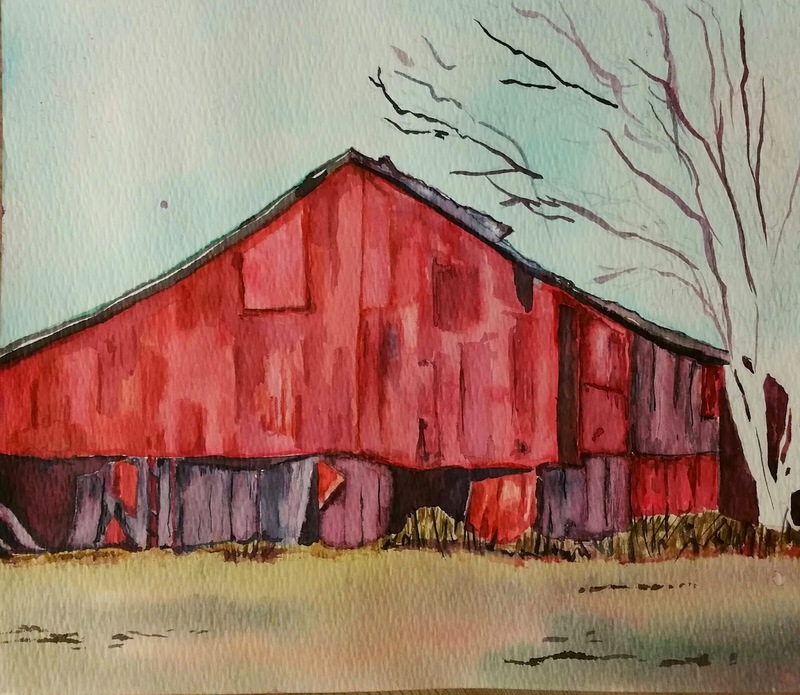 LOVE the barn painting!! So realistic. LOVE the vibrancy of the ColorBursts! Delish. Color Burst looks like so much fun - can't wait to try them. Your paintings are beautiful!! Beautiful, intense color. I have managed to get 2 colors locally so far. Hoping for more. I just love that barn. Very cool. Can't wait to try colorbursts! So excited! The barn is awesome - that red is perfect! So, tonight I get to try some of these techniques. No place I have to be except with my color bursts! love the barn. Bursts are ordered. Waiting patiently, not really, for the arrival. thanks!!! Water coloring looks so easy is it the Color Burst or is it you? Thanks for the inspiration. Those Color Bursts look Amazing!!! Can't wait to try them! It will be so fun to win and try these amazing colors. Love this hop. Thanks. I really love the watercolor effects you can get with your products. thanks for showcasing this way. Those colors and making my creative self BURST! Wow - you're an amazing artist, Ken. You've also created an amazing product. awesome color-this looks like a wonderful product to try! I dont know how I can elaborate Awesome... These are so beyond awesome. And the colors are so intense. I love it!!! I really would love to try these and be able to play with them myself. Thank you for such a great week. It has been so inspiring and all the projects are just too neat. What a week - so much information to absorb. Can't wait to try out some of these Color Bursts - oh, oh where to start. Thanks so much for such a good introduction to these products from so many talented artists. Love the color bursts. Looks like a great travel supply. More colors to add to our collections! Thanks! That barn is gorgeous! I'm looking forward to playing with these. The barn is absolutely beautiful! Got to play with Color Burst, and it is wonderful stuff! The color is really amazingly intense!